As we have reviewed the best road bikes of 2016 and the upcoming new designs for 2017, we at Roadbikes.io have noticed a couple consistent trends that seem to be here to stay for the upcoming new year. These trends are reaching across all brands, continents, and with the release of new bikes sharing these trending features, we are excited to see the huge change that this year has brought to the world of cycling. So, what is different about consumers and what are these trends? Take a look for yourself, below! Many of our reviews from the 2017 Specialized Roubaix line, the higher models of the 2017 Specialized Ruby, The Carbon “DNA” by Kelson Bikes, The Masi Vivo Tre, the Pinarello Gan GR-S, to the Cyclotron Bike all feature disc brakes as opposed to the more common rim brakes. 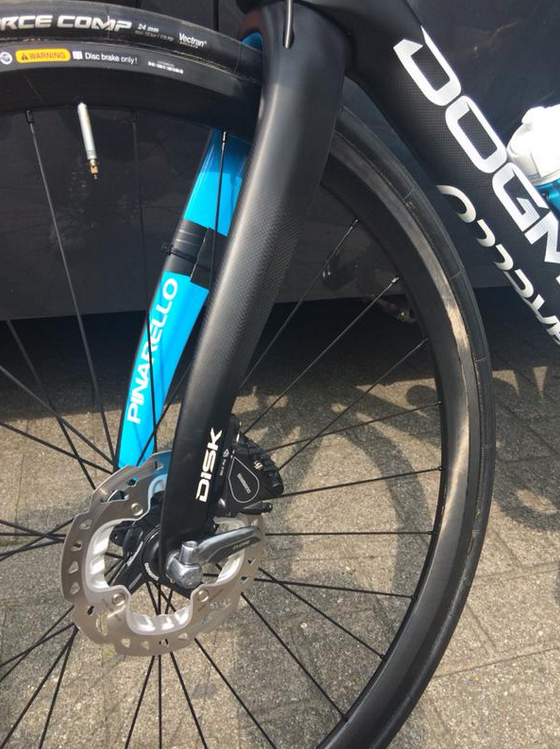 Disc Brakes are becoming the new norm. This trend towards hydraulic disc brakes are becoming more common in specialty and mainstream brands of road bikes across the board. Manufacturers acknowledge that their competitors are including disc brakes in most bikes costing $1,000 and up, so expect to see this component as a standard in the days to come. For the 2017 year, you can expect to see disc brakes on just about all endurance bikes, cyclocross bikes, gravel bikes, and even some of the aero racing bikes. Why are riders leaning towards this trend? It’s simple: disc brakes offer superior braking — period. While disc brakes do add just a little bit of weight to the bike compared to rim brake setups, most manufacturers have made up for the weight with high quality carbon fiber frames, new suspension designs, or other design features that make it well worth it. This is, no pun intended, a big one. 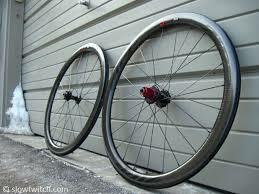 Putting fat tires on everything from cyclocross bikes to regular road bike has also become an enormous hit with riders. Since the trend towards having superior braking has been met with disc brakes, this has caused the popularity of all-purpose riding and cyclocross riding to blossom. Having wider tires on your bike offers a smoother ride, allows the rider to go off-road, improves traction, and improves suspension capabilities. 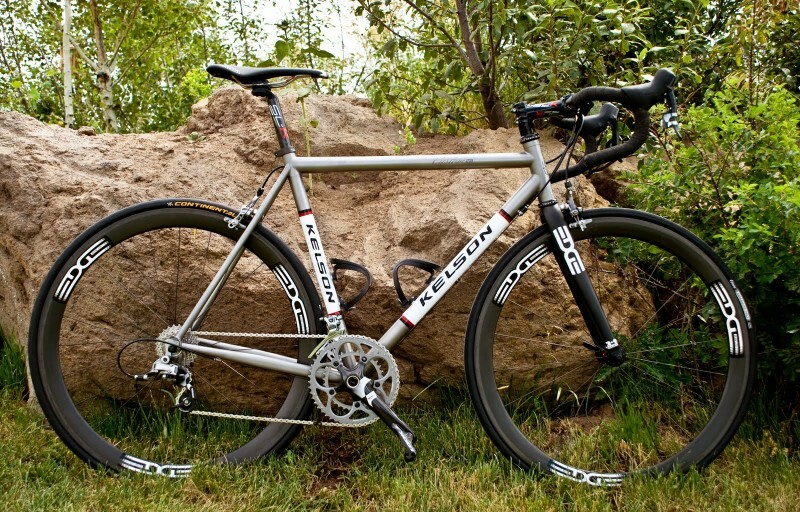 Bikes such as Kelson Bike’s “DNA” carbon fiber wonder are using both disc brakes for cyclocross and wider tires for a solid and smooth riding experience on all types of endurance and road conditions. The DNA actually uses the popular 40mm tires and is addressing the trends way ahead of most other brands. The new 2017 Specialized Roubaix and Ruby also allow for variation in the tire width (up to 32mm) for better shock absorption, superior handling on different terrains, cyclocross riding, and comfort. Specialized even changed their frame design to suit larger tires and address the issue of a lower center of gravity. 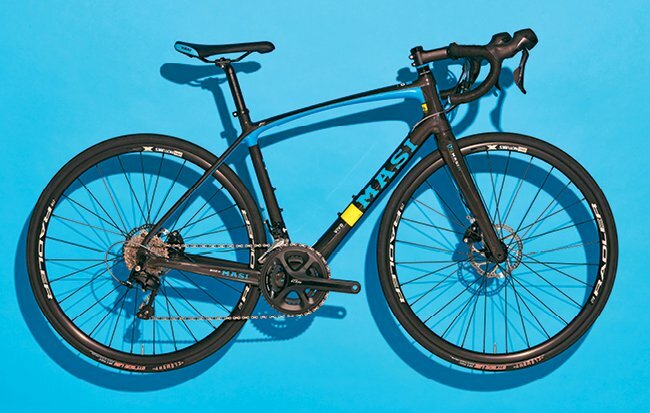 The Masi Vivo Tre is a carbon road bike that we recently reviewed, which was also ahead of the game in addressing riders’ increasing desire for wider tires. While this bike suits up with a 28mm tire as opposed to the larger ones on the Roubaix, Ruby, DNA, and other bikes, anything over 23mm used to be considered unusual. 25mm was and still is, in most cases, the norm. 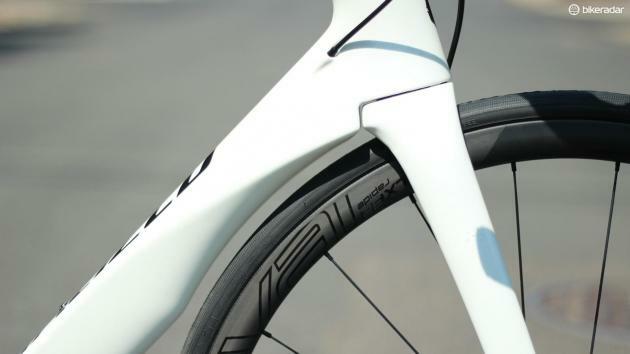 Now, the way people ride is changing and by building frames that support traditionally slim tires as well as fat tires more than double the size are becoming more common. 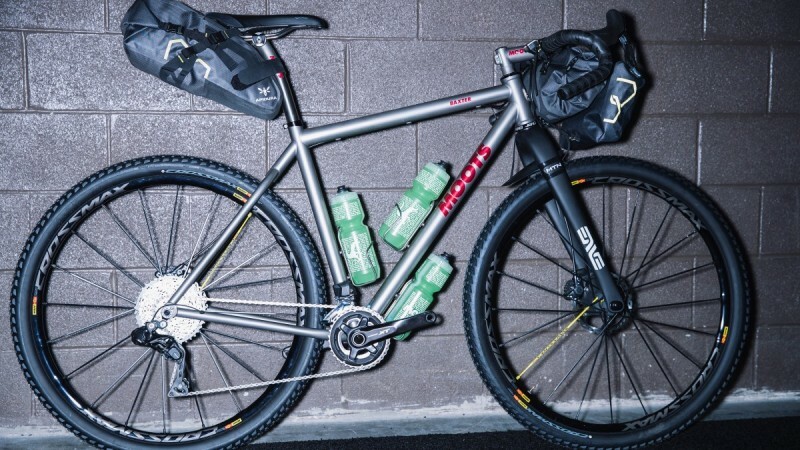 Check this out: in our review of the best road bikes from Interbike 2016, we reported that the Moots Baxter 29” will allow tires up to 2.25 inches in width – that’s just over 57mm! The Pinarello Gan GR-S also features disc brakes and clearance for up to 38c tires. The most insane bike we saw with monstercross-worthy tires was also at Interbike 2016: the Wilier Jaroon Plus. This Italian bike had on a pair of 3” Maxxis Chronicles — that’s 76.2mm of tire and it makes us lightheaded to even think about it. Finding better suspension designs has been of increasing importance to bike manufacturers this last year. With the 2017 Roubaix and Ruby featuring flexible seatposts and coil suspensions like FutureShock, the RockShox forks for Paris-Roubaix, pivoting and bowing tubes for the Trek Domane, and an elastomer rear suspension for the Pinarello K8-S, we have seen many different designs that are highlighting the importance of great suspensions in endurance, cyclocross, and racing bikes. Another trend is the fascination with “niche-fying” bikes. 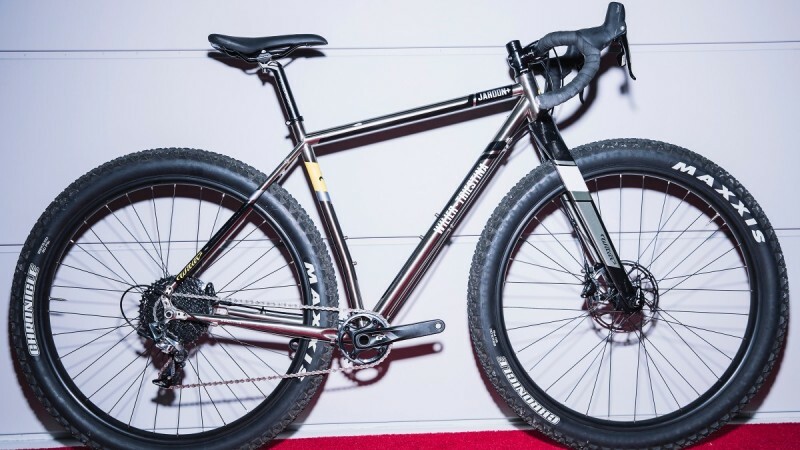 While the term “road bike” used to be a niche unto itself, we now have: cyclocross bikes, gravel bikes, endurance bikes, aero bikes, aero gravel bikes, race bikes, climbing bikes, and adventure bikes among many other specific categories. Categorizing bike models has led to manufacturers releasing more specific designs for bike models intending to be used on specific terrains. This extreme specialization has meant that riders now consider ourselves a part of certain category depending on our riding style and our bikes. Endurance riders, cyclocrosser, racing cyclist, mountain biker, etc…are all phrases we are beginning to use more often, and by identifying ourselves in the way we ride, the new bikes that are coming off the line are falling in line with our niche categorization of our riding styles. 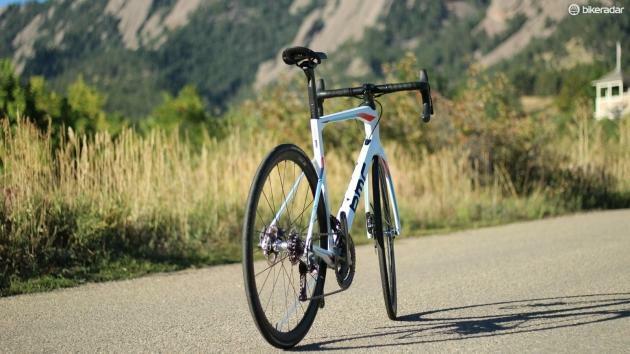 Oddly, despite the fact that hyper specialization is occurring in the manufacturing of road bikes, there is a trend that cannot be missed: the desire for an all-purpose road bike. More riders than ever are demanding better shocks, more variation in tire widths, and new frame designs because not only are we becoming more niche-oriented, but riders are crossing over into different categories of riding. No longer do riders have to stick solely to the road, the track, the dirt, the gravel, or ride solely for climbing or racing or endurance: we can have it all. From riding around the neighborhood to unwind, discovering new dirt tracks in the canyons, cyclocrossing into different terrains, and having adventures with our friends, as more riders than ever are getting into riding, the designs are not only becoming more specialized but broader as well. Some of these all purpose cycles include BMC’s Roadmachine, the Canyon Endurance, and the Focus Paralane. 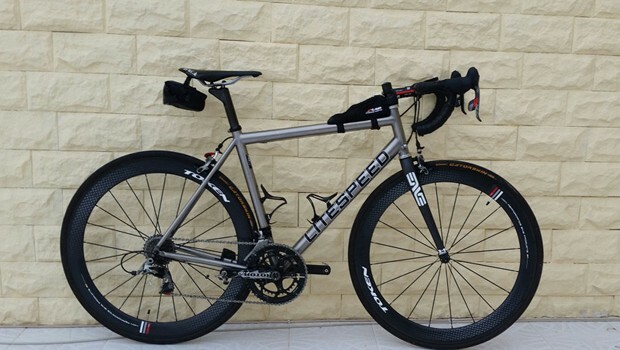 With all purpose road bikes, you can easily interchange the tire width depending on the riding you are going to do that day, you can interchange your FutureShock coil suspension for a softer or firmer feel for a variety of riding, and your disc brakes will handle well in any terrain. The trend of lowering the BB (bottom bracket) has also taken off as frame designs are changed, which has led to better handling, cutting corners, and steering. We are certainly becoming a more specialized and demanding group of riders, but the biking world is better for it. 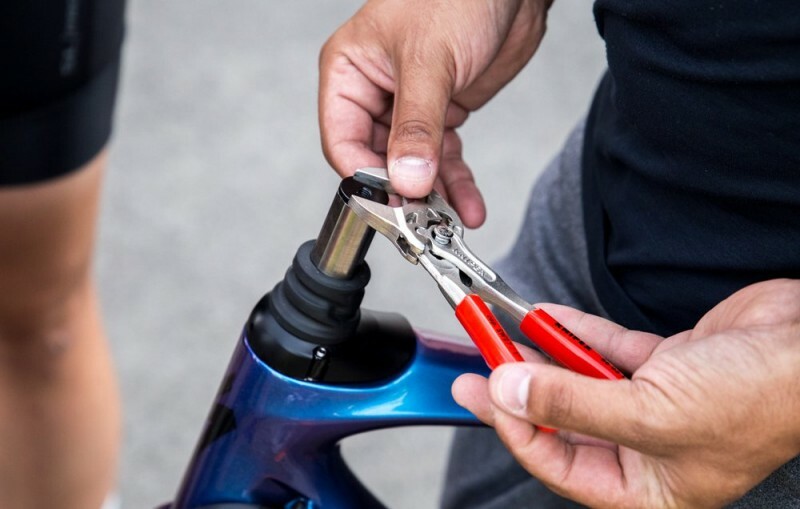 Manufacturers are creating better quality bikes at more affordable prices, and are changing the game from its stale designs to new, innovative bikes that are shaking up the world of cycling. It will be exciting to see where the new biking trends go as 2017 comes and goes.